The 2014 Pricing Report is based on our 17-year history as the premier vacation rental website for the Cape and Islands. 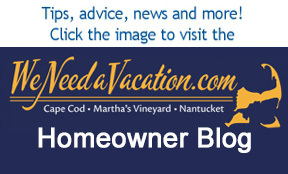 With more than 3,500 properties listed on our site, we are in a unique position to provide our clients and the industry with the most comprehensive analysis available of vacation rental home pricing on the Cape and Islands - and what drives it. Send us your questions or comments at info@weneedavacation.com.